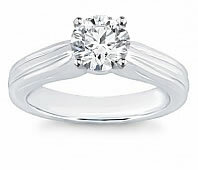 A solitaire diamond ring has been a classic design for decades. 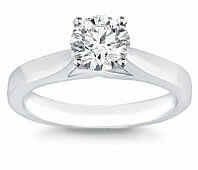 There is true elegance in showcasing a unique, single diamond in a solitaire ring setting. 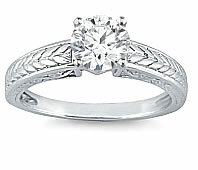 It symbolizes your eternal love for the one woman you plan to marry. 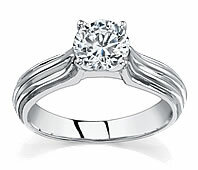 Solitaire engagement rings showcase a single stone, and represent a sophistication and elegance that brides love. 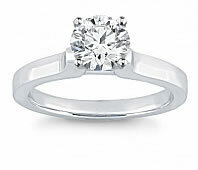 Solitaire diamond engagement rings are timeless classics in ring design. 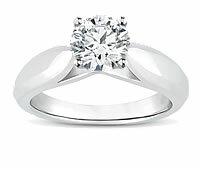 Many brides have fallen in love with the simplicity of a single diamond set in a beautiful band. Novori continues this tradition with its exquisite selection of solitaire diamond engagement rings and high quality but affordable loose diamonds. 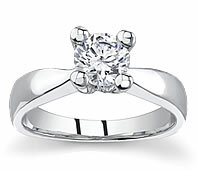 Novori has a complete selection of solitaire diamond engagement rings to suite your style and budget. 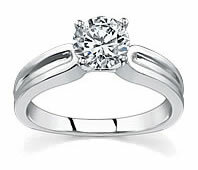 Solitaire diamonds can be cut to various shapes and sizes, and most of our bands fit any diamond you desire. 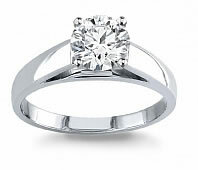 Our solitaire ring settings are available in yellow gold, white gold, palladium and platinum. 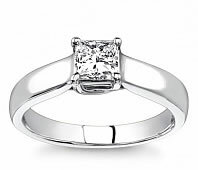 The word solitaire means a single gemstone or diamond set by itself in a beautiful setting. 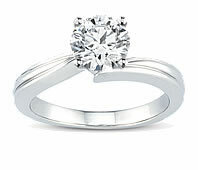 Our 18k white gold solitaire settings are most popular with our customers. 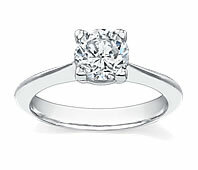 A solitaire diamond ring is a gift that will be treasured for a lifetime.